The 9/11 Memorial project is located within the International Peace Garden on the border between North Dakota and Manitoba. 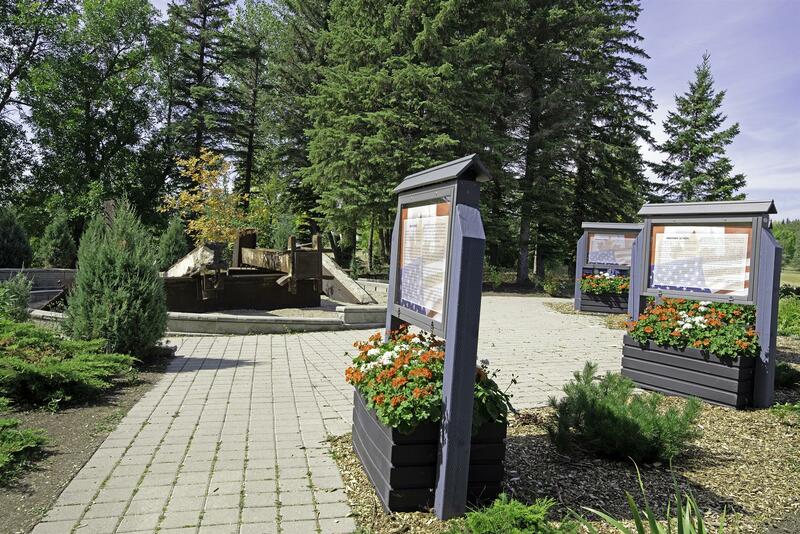 The Peace Garden is located about half way between Brandon, Manitoba and Rugby, North Dakota. It is positioned so that approximately half of it is located in the United States and half in Canada. The entrance to the Garden is between the American and Canadian customs offices right on the 49th Parallel. The International Peace Garden was incorporated in 1928 and the site dedicated on July 14, 1932. The original vision of the Garden was to provide a place where the people of two countries could come and share the glories found in a lovely garden and the pleasures found in warm friendships. This has evolved to the present board’s aspirations to create a permanent centre for peace. It is the largest garden in the world dedicated to the celebration of peace. 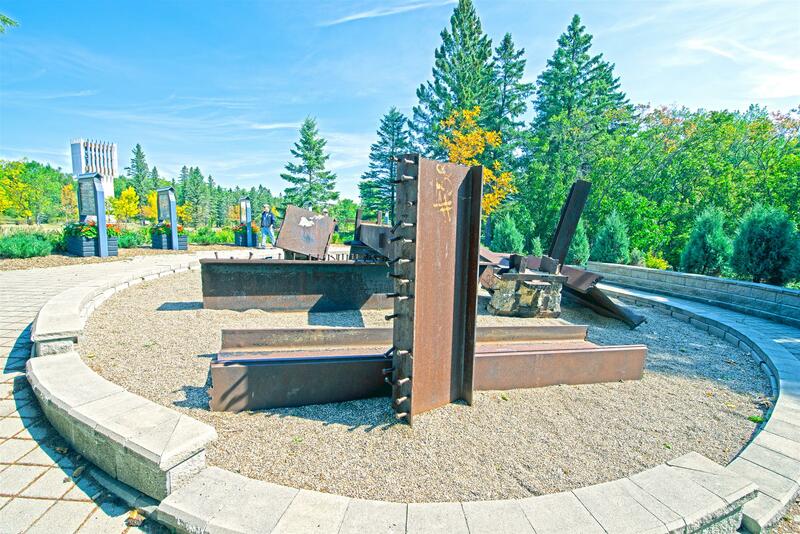 The origin of this project began in May 2002 when the Province of Manitoba initiated the construction of a memorial at the International Peace Garden to honour and remember those killed on September 11, 2001. Soon after Manitoba received 10 sections of girders that were part of the World Trade Centre and transported them to the Garden. A temporary memorial site was constructed midway to the Peace Chapel and a listing of the victims and their country of origin displayed in the Peace Chapel. The 9/11 Memorial Site was officially dedicated with representatives including the Deputy Prime Minister of Canada, The American Ambassador to Canada, the Premier of Manitoba and the Governor of North Dakota. An annual commemorative event is held at the Peace Garden each September 11th to remember the events of 9/11. In late 2002 a professor in the faculty of Architecture at the University of Manitoba, and who also sits on the Board of Directors of the Garden, organized a competition to design a permanent memorial. The competition was open to all universities in North Dakota and Manitoba with the winner coming from the North Dakota State University in Fargo. Ultimately little was done at that time to move the project from the conceptual stage, mainly due to a lack of funding and the cost of the original design. Which leads us to how we in Rotary became involved. In August 2006 the idea of Rotary becoming involved was discussed. Due to the location and internationality of the Peace Garden, what it stood for and how this related to Rotary’s ideals of World Peace and Understanding, it was agreed that this would be an international project between the two Districts, 5550 and 5580 (Canada and USA, respectively). 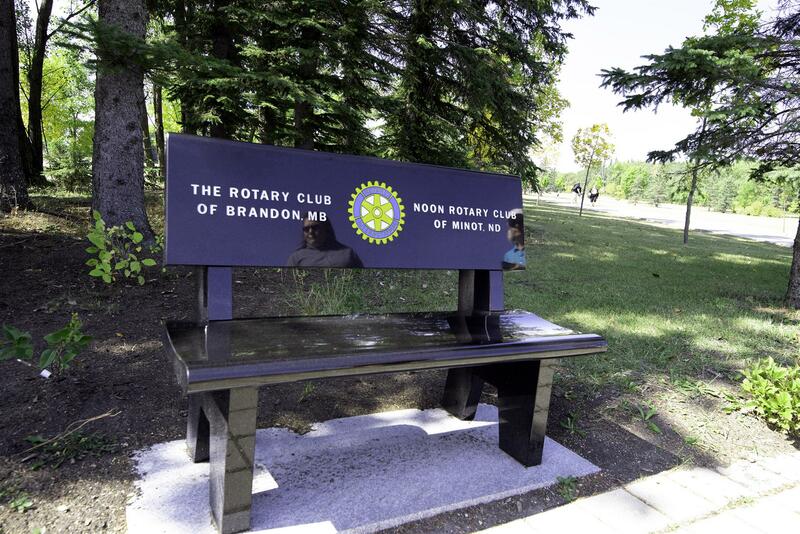 The project at the 9/11 site was developed thanks to $100,000 in federal-provincial funding received through the Building Canada Fund-Communities Component combined with $50,000 raised by Rotary International and the United Firefighters Unions of both Manitoba and North Dakota. Leadership for the fundraising was provided through Rotary International District 5550, Canada and District 5580, United States, co-chaired by Past District Governors Rick Felstead of Brandon and Jim Ozbun of Dickinson. The existing 9/11 Memorial Site has been enhanced to provide a contemplative and stroll garden at the site. Site design was provided by Mr. Charles Thomson, Emeritus Professor of landscape architecture at the University of Manitoba. Mr. Thomson completed the design as a donation to the garden. The hope of the International Peace Garden is that thousands of people from across North America and other countries will continue to visit the 9/11 Memorial taking time to reflect and remember. Most of all, taking time to hope that all people of the world can strive for peace and the greater good of a benevolent and caring world. Girders from the World Trade Centre. Informational boards at the 9-11 site. 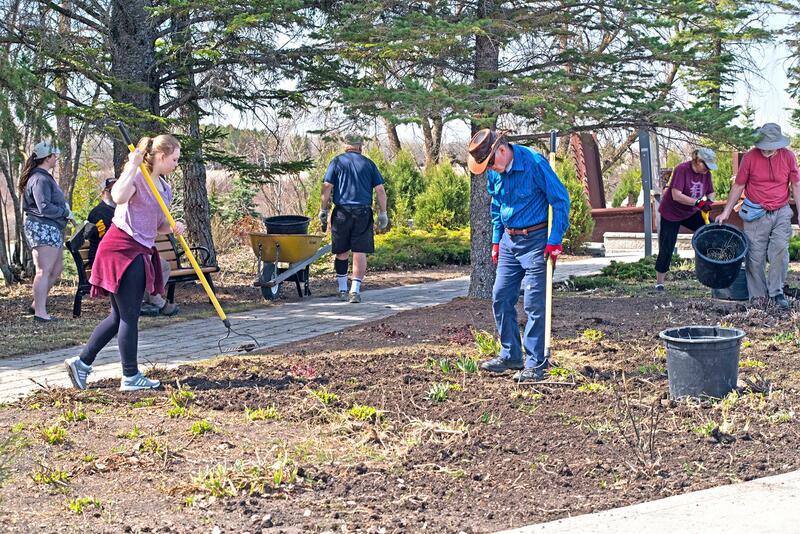 Rotarians (and family members) from the Brandon and Minot Rotary Clubs preparing the 9-11 site flower beds in anticipation of summer (May 2018).